These are some of the most frequent kinds of questions families ask. The information about care fees and NHS Continuing Healthcare you’ll find here will help you with your own care situation. NHS funding for full time care is called NHS Continuing Healthcare. Many families report being given false information by the health and social care authorities when a relative first needs full time care. As a result, many people end up being wrongly told to pay for care. NHS Continuing Healthcare funding covers 100% of the costs of receiving full time care either at home, in a care home or elsewhere. However the assessment process is not always straightforward and many people report having obstacles put in their way by the care authorities. Many people are ‘overlooked’ for funding, many assessments are carried out incorrectly and health needs are ignored. Many people are also not assessed at all. Specific funding entitlement will depend on a person’s individual situation. However, if a person needs full time care and has health needs, the first thing that should happen is an assessment for NHS Continuing Healthcare funding – not a financial assessment or means test. NHS Continuing Healthcare is NHS funding and it covers the full cost of care for people who meet certain criteria. Those qualifying are said to have a ‘Primary Health Need’, i.e. their primary need in terms of care is a health need. Read the Continuing Healthcare guidelines, particularly the Decision Support Tool, to find out what these criteria are. NHS Continuing Healthcare funding is not means tested. These are vital questions – and many families are given misleading information about paying for care. It is NOT a person’s money, house or assets that determine whether they have to pay for care; instead, it is their health and care needs. It doesn’t matter how much or how little money a person has – if they have health needs and they meet certain criteria (as outlined above for NHS Continuing Healthcare), they do not have to pay. Read why savings thresholds for care fees are often irrelevant. Almost always, the first question the authorities will ask a person is about the person’s house or their savings. However, the first question should be about their health and care needs. This article may also help: 3 reasons to object to a financial assessment. If a person is genuinely shown to have to pay for care, i.e. they are not eligible for NHS Continuing Healthcare funding, no family member or friend should be asked to pay for that care; it is only the person who needs care who should have to undergo a financial means test. The health and social care authorities should not ask anyone else to disclose their own finances. In the case of a husband and wife or partners, this information from AgeUK may help: Paying for care if you have a partner. It doesn’t matter whether a person is in a residential home or a nursing home – or in their own home – NHS Continuing Healthcare funding is available to people who need full time care and who meet certain criteria in terms of their day-to-day health needs. The type of home the person is in is irrelevant. The National Framework guidelines make this clear. Read more about Continuing Healthcare at home. Assessors look at health and care needs in 12 different care ‘domains’. These domains are different aspects of health and care, such as continence, nutrition, mobility, drugs, etc. In stage one of the process they look at 11 domains, and in stage two they add a 12th domain, ‘Other significant care needs’. You can find our more about these domains in the Checklist and the Decision Support Tool documents. Sadly, many families are told that care funding depends only on a person’s money. This is quite wrong, and it leads to many thousands of people being wrongly charged for care. See above. The smaller weekly payment is called Funded Nursing Care (FNC) and it’s paid to people in nursing care homes who have some nursing needs and yet who are deemed not to meet the criteria for full Continuing Healthcare funding. However, many families report that the FNC payment is often made as a matter of routine without any assessment having been carried out for NHS Continuing Healthcare. This is the wrong way round. There’s a lot involved in putting together an appeal, and it’s important to pull together all relevant information about health care needs – and to do this with the Continuing Healthcare eligibility criteria in mind. Make sure you’re familiar with the different stages of Continuing Healthcare assessment and appeal – and also the National Framework assessment guidelines and funding eligibility criteria. Although this requires a lot of reading, it’s essential if you’re going to be able to defend your position. In terms of wording an appeal, you need to pull together notes on everything that has been done incorrectly in the assessment process and in the way the eligibility criteria have been applied. Also, read the answers to the following questions. Read the Continuing Healthcare guidelines and the eligibility criteria thoroughly. Make notes on all your relative’s health and care needs and risks. Make notes on every failure by assessors to follow the correct process. Read the National Framework. Check the daily care notes kept by the care home or care provider; these are vital, and yet many families find they are either not kept up to date or they do not include information on all health needs, incidents, interventions and care provision. These tips on how to prepare for an NHS Continuing Healthcare assessment may also help. Be sure the assessors are looking at all the evidence relevant to your Continuing Healthcare case. Be aware of these 5 things to avoid in NHS Continuing Healthcare assessments. Follow the same tips outlined in the question above. Also, be sure to provide information on how your relative’s health and care needs have either stayed the same or increased (if that’s the case). If their needs are the same or greater than when funding was first provided, the assessors will not be able to justify removing the funding. This can be difficult. If your relative now lacks the mental capacity to make a power of attorney, you may want to apply for a Deputyship order via the Court of Protection. Although this can take a while to do, and can be costly, it could save you more headaches in the future. This is a very common scenario, and we here from many families on this issue. Reports from families show that there is a huge lack of understanding about this amongst health and social care professionals. Many fail to understand the difference between a memory or cognitive test (such as an MMSE or an ACE-R test) and a Mental Capacity Assessment. They are two quite different things. In a nutshell, a Mental Capacity Assessment determines whether a person is able to make a specific decision about a specific thing at a specific time (such as deciding whether they want to go back home from hospital or go into a care home). Read more here: Mental Capacity Assessments – when should you have one? It can be a confusing time, especially as it’s often a time of crisis and emotional turmoil. Here’s an article to help you understand what kind of things you may be asked to sign – and what to do. The only way to know if a person is eligible for this is for them to be assessed for NHS Continuing Healthcare. This funding is not dependent on any specific diagnosis, but instead is based on a person’s day-to-day care needs – the whole picture of need. This article shows you how to get assessed for NHS Continuing Healthcare and what to do. This is quite wrong. As long as the care home is able to look after a person, there is generally no reason why Continuing Healthcare funding can’t be paid – as long as a person is eligible in terms of their health and care needs, of course. We know of people in top-end care homes who receive fully-funded NHS Continuing Healthcare. Even if a person isn’t eligible for full Continuing Healthcare funding, they may be able to access a weekly nursing care payment called Funded Nursing Care (FNC) – if they’re in a nursing home. This pages outlines more about Funded Nursing Care – also sometimes known as Registered Nursing Care Contribution. A person may also be entitled to Attendance Allowance and other benefits. Indeed they are supposed to be there, and this is a serious mistake on their part. Someone from the local authority, e.g. a social worker, should be present at the full multidisciplinary team (MDT) assessment. If they are not, the local authority risks being placed in an unlawful position. Why? Because if a person’s care needs are above the legal limit for local authority (means tested) care – and yet the NHS has effectively passed responsibility to the local authority AND the local authority did not question that – the local authority may have broken the law. Read more about this legal limit for local authority care. Should social workers be involved in NHS Continuing Healthcare assessments? The Checklist is just the first stage. If a person gets through this, they go on to have a full assessment involving a multidisciplinary team (MDT). Read more about the different stages of Continuing Healthcare assessment and appeal. No. Families should be involved and their input should be taken into account. The National Framework guidelines make this clear. Make sure that it’s been reviewed properly. These tips on retrospective claims will help. This is a very common problem, and many families are told ‘not to bother’. However, the ONLY way to know if a person will be eligible for NHS Continuing Healthcare is for them to have an assessment. It’s as simple as that. Here are just some of the things families are told to put them off having a Continuing Healthcare assessment. Yes, here’s a summary of some of the assessments related to long term care. We know of people who have succeeded in getting full NHS Continuing Healthcare funding with relatively low assessment scores, and others with significant needs who have to battle all the way. It can be a postcode lottery. However, the Continuing Healthcare guidelines cover the whole of England, and all assessors should abide by them. Again, this is sadly very typical. A Continuing Healthcare assessment is not a comparative exercise. It doesn’t matter what anyone else’s care needs are. If a person has health needs, they should be assessed fairly – as an individual – regardless. Contact the NHS Continuing Healthcare team at the local Clinical Commissioning Group (the local NHS) and ask them to provide you with paperwork to show when, if ever, your relative was assessed. Clinical Commissioning Groups (CCGs) replaced the Primary Care Trusts (PCTs) in 2013. If you contact the main switchboard of the local CCG and you’re told they don’t have a Continuing Healthcare department, keep persevering. It’s not unusual for main reception staff not to know about Continuing Healthcare. Every local CCG has a Continuing Healthcare team. Read about some of the problems in getting to the right person. This is a very common question from families, and top up fees are often controversial. This article will help – including the excellent report from Independent Age. It could be various things, but there is also a financial conflict of interest for care homes, unfortunately; they receive more money from people who pay for themselves (‘self funders’) than they do from the NHS through NHS Continuing Healthcare funding. We’ve heard from some families that care home staff and managers have tried to put people off applying and that staff can be less than helpful in the actual assessment process. Care staff may also not know anything about Continuing Healthcare. Make sure the daily care notes are up to date. Write to the Continuing Healthcare Dept. at the local NHS Clinical Commissioning Group (CCG) with a certified copy of your power of attorney (or other form of authority) and request copies of all Continuing Healthcare assessments carried out to date with the full rationale for the funding decisions. Also, state that these assessments should have been carried out with your full knowledge and involvement. You can ask for the assessments to be done again. It should be backdated to shortly after the date of the Checklist. The National Framework guidelines in Annex F make this clear. Also, read more about the other forms of NHS redress in Continuing Healthcare – and what the NHS should pay. If you’ve been told that funding will be awarded, but then the funding decision is overturned, this article will help show whether the CCG is acting correctly. We hope these NHS Continuing Healthcare FAQs have answered a lot of your questions. If you do still need one-to-one advice, though, for your specific situation, we may be able to put you in touch with a legal, financial or care funding professional to help you. But it’s worth looking through the above links first, as the information they contain could save you paying for advice – and save you paying for care. My father was looked after at home by myself and my partner for 2 years until we could no longer cope. He was diagnosed with CBD, dementia, Parkinson’s and was in end-stage renal failure during that time and until his death. Upon transfer of his care to the dementia unit within a local care home, he passed the checklist for CHC assessment but, despite repeatedly asking for this assessment to take place, he died in March 2017 having never had it. I cannot describe what his life must have been like during that time: he was almost blind, deaf, could not speak at all, was falling regularly if he tried to mobilise when not supervised, demonstrated wholly inappropriate behaviours frequently, had his catheter removed as he was often ripping it out and was incontinent of urine and faeces but kept removing and throwing the pads he was in all over the floor. Eventually, he was so miserable, he decided to stop eating, drinking and taking his meds so he could die. I am so angry and upset about the lack of care he received (not from the home – they were wonderful people who did their best for him). As he was never assessed and should have been do you think I have a good retrospective case? I have already set this in motion by filling in a raft of forms and sending off copies of plenty of evidence. Thanks. Susie – Thanks for getting in touch. How awful for you. Please do get in touch if you would like to discuss this with one of the team. You should definitely look into pursuing it. My father was diagnosed with vascular dementia about three and a half years ago. His decline has been rapid and sadly he started to become aggressive towards my mother. He went into a home about 3 months ago and has just been awarded NHS Continuing Health Care. My question is, my mother would like to downsize her home, now she is living on her own, but would she be liable for an care fee contributions with my father on CHC? Thanks for all the useful information on your website. My question is regarding a relative who moved to the UK several years ago and lives with our family in our house. She is now 95, immobile, incontinent and has dementia. We pay for a carer to come in twice a day to help us care for her but we are all of the opinion that she now needs to be in a nursing home. However, she has never worked in the UK as she moved her from Africa and is therefore not entitled to NHS healthcare. All of us in my family work but cannot afford the high fees for nursing care. Has anyone been in the same position? Can we get her assessed and then access nursing home care for her? Advice appreciated, thank you in advance. Does this sound a fair desision on behalf of the CHC? I have been diagnosed with MND. My husband passed away last year so I now Iive alone. My daughter lives nearby but she works full-time an has young children. I am still able to walk a short distance using a stick but will probably not be able to do so for much longer. The Wheelchair Service have ordered me an electric chair. I have already lost most of the use of my right hand and my left is symptomatic. I am already finding live difficult. I want to stay in my homeland be independent for as long as possible. So far my breathing has not become compromised and I am relatively healthy. I have met another MND sufferer who lives alone and she has had to fight for NHS Continuing Healthcare (CHC) after paying for a Carer herself for three years. She has been totally dependent on her Carer for her showering, dressing and feeding because she is virtually paralysed. Now her savings have become depleted she has finally managed to get help from CHC on the grounds she recently had a chest infection and was hospitalised. I have made enquires and been told as I have savings in excess of that specified by Social Services I will similarly need to pay for all my care. The cost is horrendous and when the time comes an I am totally dependent it is likely to be 1200+ per week. I am worried for my future care. At what stage can I apply for CHC help? Do I need to struggle on until I am in the final stages and o longer have any savings? Reading your words has brought back so many true memories of the early days of My Uncles illness and how in the first stage of illness, how frightened he was. Diagnosed with Parkinson’s as far back as 2011 my Uncle displayed many conditions related to MSA but his Diagnosis of MSA was not officially confirmed until 2017. His condition MSA-C is a rare and aggressive disease I cannot began to describe. Please download Angela Sherman’s Book for a small price. I am so sorry that you have been diagnosed with MND. Please again download this book as It will help you and you family understand the NHS CHC System, The National Framework, which is NHS Law and how to equip yourselves mentally with how the Law works before you and your family are at a stage where you do not know where to turn! I am sorry If I have in anyway made you feel uncomfortable but YOU NEED TO READ THESE PAGES!! They will put you and your family a ease, they will prepare you for the future. In the meantime if you have YouTube ask your family to sit down with you and in their own time, advice on your condition. My mum is currently in hospital with alzheimer and I was told that she has been assessed for NHS Continuing Healthcare and she will now be going through to the second stage of the assessment but only once she is in a care home. The social worker said they used to do the full assessment whilst in hospital but as they need the bed space the rules have now change and they can do it once placed in a care home. Is this correct? Should they pay the care home fees untill a decision on funding is made? Should I insist it is completed in hospital or is she correct that they are allowed to do this? Thanks. My grandmother died in 2017. When she went into her nursing home she was rejected for NHS Continuing healthcare funding. So, my grandmother was self-funding and was receiving in affect a loan from her local council. She paid some and they topped the rest up. When I collected the death certificate from the hospital, it was stated that the secondary cause of death was Parkinson’s disease. I was utterly shocked as the nursing home had never told me that she had it. Yet, I had asked about her strange and difficult symptoms that were getting worse. When she went into the nursing home 3 years ago before her death, she had suddenly lost use of her legs and was suddenly bed bound. At the time I was shocked at the sudden change. There was no explanation or about her rigidity and tremors. Her writing was all over the place. She had a fixed stare and found it hard to blink. There again, no explanation other than ‘old age’. My grandmother aspirated on a drink, the consequence being developing a severe chest infection, the final result was her death 3 days later. I was told by the hospital that my grandmother had been receiving medication for Parkinism symptoms. Yet no one had told me about this before. It makes so much sense that she had had Parkinson’s disease for YEARS and yet it had gone undiagnosed before entering the nursing home. However, she had a lot of other health problems so this may have been a distraction. My question is was my grandmother eligible for NHS Continuing Healthcare funding and can a claim be made retrospectively? Please look on YouTube at the symptoms of MSA-C. Following my Uncles diagnoses I have found the only way forward is to see any understand the evidence of this rare disease. YouTube is an amazing tool!!!! I have only just started to look at the comments on caretobedifferent following the advise of an advisor at our local hospice!. I do not know where we would be right now without Angela’s Book!!!! My Uncle is in the severe stages of this illness. We all have our lives to lead on a day to day and rely on professionals to take care of those we love. With all my heart I wish you all the very best in finding answers!! I’ve lived with a man aged 83 for 14 years and cared for him for 4 of those as he became physically ill and developed dementia. He owns the house. He was transferred to a nursing home from hospital 4 weeks ago and his son has told me if he fails to get NHS Continuing Healthcare funding I will lose my home as it will be sold. He is currently undergoing assessments for the funding. We are not related and lived as friends but we were engaged for awhile before I moved in, would I be counted as his former partner and be able to stay. His wishes are I live here until I die. I also read that if someone has lived with and been a carer for a “substantial period of time” the house would not be taken into account. I may be clutching at straws but I’m agoraphobic with many other mental and physical health problems, this man was my carer before he became ill. Caring for him has been a big struggle for me and I came through it only to find I’m now having to fight for my home. Any advice gratefully received. If it’s your home, Angie, you cannot be made homeless on account of someone else’s care fees/care situation. 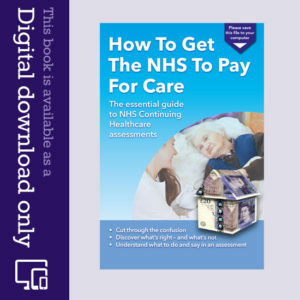 Age UK produces some useful information on this: https://www.ageuk.org.uk/information-advice/care/care-homes/paying-for-a-care-home/ However, the first thing that should happen – before anyone talks about your friend paying for care ands before he pays anything – is the assessment process for NHS Continuing Healthcare. I am wondering if I can get some advice. My husband has been in a nursing home for nearly 4 years and he recieves NHS Continuing Care. I recieved a phonecall, less than a week ago that they want to re-assess him this Friday. I am really worried that he may lose the funding. What can I do to ensure that he doesn’t lose the funding? Do you know of other cases where people have lost the funding? My Mum has had privately funded live-in 24/7 care for 4 years in her own home. She has Parkinson’s and more recently a dementia diagnosis. A recent Continuing Healthcare (CHC) application by ourselves triggered the next stage after the Decision Support Tool (DST) was done. There is daily logged evidence by her carers to confirm her condition and challenging, unpredictable behaviour. We’ve never had a social worker involved since she started the live-in care. Her healthcare contacts are the Parkinson’s consultant and Psychologist for memory issues. It has been intimated today by the nurse who completed the DST that my Mum will most likely not be eligible for the CHC funding. A Multidisciplinary Team (MDT) meeting is, however, being arranged to include a representative from Social Services. How should we deal with this situation, in your opinion, and what advice can you offer us? Thank you. This is my own update – I’d be extremely grateful for any advice or comments from others. The professionals submitting my mum’s application failed to respond in time to information requested by the panel. As such (and 6 months later after 2 Decision Support Tools we’re done), my mum received a letter stating ‘at this time you are not entitled to fully funded NHS continuing healthcare. The continuing healthcare panel have agreed that the continuing healthcare process be repeated following full comprehensive assessment of your needs’. I feel we are being totally fobbed off. My mum continues to receive 24/7 care in her own home with a private live-in carer and huge input from myself and my sister. How can we expedite this application and is there a legal view at all? Thank you for reading this. I applied for Continuing Healthcare funding for my 91 year old father back in April as yet I have been given no decision, only that the assessors want a further mental assessment made of my father before they are prepared to give a judgement. The application was based around his aggressive behaviour along with other care needs. However three weeks ago my father was hospitalised when he fell broke hip and had to undergo surgery, he was there for just over two weeks. Since then he has been in his nursing home bedridden and two days ago we were informed it was going to be palliative care from now on. The manager of the care home informed me that funding has been secured as of today . My question is what about the claim in place from April before palliative care was in place. After reading your e-book my partner successfully won Continuing Healthcare (CHC) funding for his mother and more recently for my mother. It’s tough going but well worth pursuing, so thank you for providing such a useful document. My 88 year old mum has AD and she recently had a stroke. Now back home from an 11 week stay in hospital she has 2 carers coming in 4 times a day with the family popping in and out in between. Initially Social Services/Local Authority met with us and organised a package of care and we told them we would be persuing CHC funding. We had all the push backs and lies that you mention in your book. We pushed on and finally won the funding. The care started badly for various reasons but after lengthy meetings with senior members of the care company we think this may now work for us. However, during this ‘bad’period, on the advice of the CHC Nurse Clinician I had started to look at residential nursing care for my mum, My brother and I have full Power of Attorney. My question is If she does go into residential care funded by CHC and we then sell her house and subsequently she needs SS/LA funding for her care home,( if at the 3 or 12 month review she loses the funding) will that be seen as deprivation of assets? I am updating my original question – Can anyone advise me? My mum has now gone into residential care funded by Continuing Healthcare (CHC). She is frail but has settled in well and seems happy here. We want to sell her home before the time limit for it to become her second home (the care home now being her main home) and then be liable for Capital Gains tax. I assume as long as the money is somewhere in case she ever loses the funding we are not depriving anyone of the asset! Or should we seek advice from a financial advisor? do some companies specialise in this kind of advice? The clarity and range of information on your website is outstanding. I am in a dilemma. After reading some of your articles, I realised how my dad’s assessment was done totally against the guidelines of CCG own National Framework. Dad has no capacity, I was not involved in any of the assessments in hospital. Dad was there for one month. Needed one-to-one care 24/7 for aggressive behaviour due to Lewy Body dementia. The discharge coordinator (I think this is what he called himself) told me that the CCG would not fund a nursing home placement because dad had “just” dementia. The social worker asked me about finances even before the final CCG decision against funding. They never sent me the Decision Support Tool document, only a document called LHNA (18 pages) and a letter with the negative decision. Dad was discharged to his excellent nursing home on 6 December 2016. The CCG granted payment for two weeks of one-to-one care at night time, the rest he had to pay. Dad had other visits from the CCG in his first few weeks n January 2017, always when I was not there (and was not told they would visit), and then removed the one-to-one night care. Unfortunately, I have read your articles only in the last few days. According to NHS guidelines, my window for appeal of 6 months has passed for just a few days. What can I do? Do I have to go straight to tribunal? Which is the right court? Or should I appeal the “decisions” made in January, as they are still within 6 months? Or should I ask for a retrospective assessment for the past 6 months? Thank you so much for your very kind words, Jacqueline. I really appreciate it. There has been a whole catalogue of errors in your dad’s case. In the first instance, pull together a list of everything – every single thing – that has been done incorrectly, both in terms of the process followed and the way the eligibility criteria have been applied – and also which individuals are at fault (if you know) – and write to the head of CCG saying they have repeatedly failed. Make it clear that this is their failing, not yours, and if they also failed to give you information on appeal timescales they are further at fault. Copy your letter to the Head of Adult Care at the local authority and suggest to him/her that the local authority is now in an illegal position. If you get no response from the CHC team, contact NHS England and request an Independent Review Panel hearing. My Mother has just been awarded the Funded Nursing Care (FNC) part of Continuing Healthcare after a Decision Support Tool. She is in Wales and in a residential care home with a good infrastructure off local doctors and District nurse at hand. She was granted FNC as she has been having TIA ‘s and mini stroke symptoms for domain 11 , she also has dementia, double incontinent, heart problems and scored 1 severe 2 highs 4 moderates. They now say she has to move to a nursing home. There are none suitable in the area as she is happy and at present can relate to staff and family members. The family feel it would be detrimental to her mental health. We assume we will have to give up the funding and monitor the situation. After 3 months she would be reviewed in the nursing home and the FNC could be taken away. My Mother would have been moved for no reason would have to pay more as she is self funding be unfamiliar with her surroundings confused and worse off. This is what they call caring!!!!! Where is it possible to get an initial request for continuing health care letter template? I dont believe there is one. If the person is in hospital you ask the Continuing Healthcare (CHC) co-ordinator to request a CHC Checklist is completed- they may try to tell you it can’t be done in hospital and has to wait until the person returns home or goes into a care home; this is not true, so insist – we had to for my mum and did get it done in hospital. If the person is in the community already, contact your GP and ask then to organise the Checklist. We have been awarded 2 years out of a 6 year claim for retrospective funding for my late mother in law. However she was in hospital for 12 months in total on and off during that 2 year period. When the refund is calculated will the CCG deduct payment for the period she was in hospital? I understand this could seem like they are paying twice – for when she was in hospital and also in the home, but we still had to pay full fees to the home whilst she was in hospital. Please advise as I haven’t been able to find any information on any website about this particular issue. Thanks. I have just purchased Angela’s book. My mother was in hospital and I have found that the Continuing Health Care Assessment was not completed properly when she was assessed in 2004. Would this have a big impact on my case? My 93 year old father was hospitalised in June 2016 and during a 3 month stay was diagnosed with vascular Parkinson’s. He has suffered from vascular dementia for many years as well. Prior to discharge from the hospital a recommendation for Continuing Care (CHC) was sent by the hospital but was not ratified as the paperwork failed to show a primary health need and further info rmation was sought. This was never forthcoming and was never followed up by the CHC involved. My Dad has been in a self funded nursing home since discharge and with the help of the care manager and the team he is settled and comfortable as possible. His dementia has progressed and to ensure his safety we have had to put in place a one to one Carer at night which is also self funded. After a long and time consuming battle we have finally been advised that due to errors made on the initial application and the lack of follow up and having assessed my father as having a primary health need that he work be eligible for continuing care from admission and on an ongoing basis. However, I am being told that the rate for the care home and the one to one cover is too excessive for the NHS to pay and therefore my Dad will be assessed by other homes and will have to move to another care home. We do not want to move my dad as we believe this will add further problems and accelerate his dementia and his GP feels this would not in his best interest. We are prepared to pay any additional costs not met by the CHC but are being told that we cannot and the only choice is too move him or forgo the funding? Any advice would be greatly appreciated. My son is due a MDT meeting to establish his full care needs 4 years after receiving full funding from chc. They are doing this to try to stop paying anymore money as his needs have become greater. They have delayed for nearly a year now. I have asked several times for him to be transfered onto a Personal Health Budget (PHB) as he is still being paid via Local Authority and they invoice the CHC. They said he would still be financed that way. I said no! It’s his right to have a PHB and you cannot refuse. I said, I am fed up of LA and CHC passing me from one to the other saying its not their responsibility everytime there is an issue with funding so if he is on a PHB we know exactly who is responsible. Am I right in thinking I can insist on the PHB? We have been waiting 2 years for it to be changed over due to staff shortages apparently? Isn’t that against the framework too? Alison – yes, you do have the right to ask or a PHB. Just reviewing an assessment under the Checklist for our Dad, I have since found an extract from the local NHS Trust guidance document which reads as below, any comments on its legitimacy ? The basis of my query is that whilst the need to re-assess is acknowledged, the phrasing of the ‘guide’ seems to infer a preconceived bias against the development of future ‘conditions’ which become apparent as the given disease(s) progress, contrary to what the ‘future real-time’ assessment of the 12 domains of the DST would require? Al – I agree with you that the wording almost makes the assumption that needs will automatically lessen and become primarily social care needs. However, as some needs change and (potentially) lessen, other needs take their place and must be taken into account in any review. For example if a person becomes less mobile, assessors may consider that they are at less risk of falls and so mark them down accordingly. However, assessors must also take into account the additional needs that arise as a result of the lack of mobility, e.g. risk of pressure sores, poorer circulation, joint pain on movement, muscle contraction, etc. My wife’s aunt has been confirmed as eligible for Continuing Healthcare (CHC). However they have given my wife’s uncle 3 homes to look at; he chose one but that was rather swiftly withdrawn because of unspecified “issues”. The aunt is still in hospital and not very happy there. Can her uncle chose the home himself or must he only accept homes suggested to him by the CCG? My Father suffered a severe stroke in April this year and in June met with a social worker, who pushed and pushed for me to find a nursing home. I got him into a nursing home in July feeling I had to choose one quickly. I asked the social worker to put in for NHS funding which she said she would, then after weeks of phoning was eventually told she was off long term sick, then after a further month was passed onto “seniors” who only went to assess 2 months ago, which my Father passed and I was told it would now go to panel. When phoning again last week was told the NHS side could not give a date for this meeting as they have a backlog, after phoning them direct was told the same and could not even tell me what year this might be. Is this usual for such a long delay??? Jan – that sounds like a very shoddy process on the part of the original social worker(s). Yes, there are delays in the CHC assessment process, but it sounds as though they’re trying to fob you off. Remember that CHC funding should ultimately be backdated to day 29 after the Checklist was completed and received by the CCG. I attended an Independent Review Panel (IRP) on 13 October 2016 on my wife’s behalf claiming that the CCG had underscored 5 domain levels and were guilty of maladministration. Importantly Continuing Healthcare (CHC) panels are changing/deciding domain levels, failing to observe paragraph 93 of the National Framework. In their report the IRP said that the CCG may have considered there to be exceptional circumstances (I have no idea what these could have been) and made no comment in their Recommendations. The IRP could not reach a conclusion regarding eligibility saying that the evidence was conflicting (isn’t this the whole idea of having a review, to consider conflicting evidence) and the assessment had been carried out when my wife’s condition was not stable. They recommended that the CCG carry out a further assessment from the time my wife left hospital in February 2014 and that they review their procedures for MDTs to ensure compliance with the Framework. This virtually takes me back to beginning the whole process again and denies me the oprtunity to achieve recognition of maladministration and to ensure that it does not continue for other claimants. I have replied asking if I can approach the Ombudsman and to know exactly what period of time should be considered by the CCG when they do the assessment. What do you think? Have there been similar cases? I have not read of any. That sounds like a pretty frustrating IRP, Philip. You don’t have to ask the CCG whether you can approach the Ombudsman; you can do it anyway, and just let the CCG know. There is a chance the Ombudsman will say that the CCG must carry out the further assessment first, so make it very clear in your approach to the Ombudsman that the CCG doesn’t seem to know what it’s doing. My father aged 87 is in hospital with malignant melanoma that has moved to his brain. He is bein assessed by the palliative Care team for a fast track to a nursing home. I have found a nursing home near me that has a bed available, and they will assess him next week. His palliative care worker has just told me that because of his complex needs and prognosis he should get Continuing Healthcare funding. Does this mean that he will not be means tested and that he will not have to pay any further costs for the nursing home I have chosen? Thanks to you both for your comments. As Angela says, the fact that I am in Wales means that my case may be different. I will use the guidance on this site for general advice, and check as I go along whether there are specific differences. To be fair to the nurse, she did not actually say funding would be removed. She did say that she has to give the results of her assessment to the Health Board, and that she would not be able to recommend that funding continues. She did seem to be trying to help by getting the Care Home to write comprehensive notes for the next 2 weeks to see if his health and nature was worse than her visit and existing notes indicated. I will admit he is less unpredictable and seems generally more co-operative than he was when in hospital. Just seems unfair that because he feels happier due to consistent care, that he now may not qualify, even though his brain injury is the same. Will just have to go through the system, presumably meeting involving DST etc and ensure all evaluation etc is done properly. I appreciate the difference between nursing and social care, but feel that whilst it may be legally correct, it just seems unfair that all my fathers problems relate to his brain injury from a fall, and despite this the care can be considered social. My father has been in a care/nursing home in Wales for 15 month. He suffered a brain injury due to a fall, and was assessed as qualifying for NHS Continuing Care, which was confirmed in a review 3 months after going into care. He has just had another review, and the nurse who did it has indicated she believes he no longer qualifies. She has asked the care home to keep a detailed log for the next 2 weeks to see if the home has simply not been noting all problems because they have become used to them, and learned how to cope. I am not convinced there have been any change in his symptoms (other than reduced mobility so he has less risk of falling), but will await her report to see why she feels the decision has changed (is this wise?). Should the fact that my father was running his own business to the date of accident, and all his symptoms(which could be considered similar to dementia I suppose) relate to that accident , have any bearing on whether the care he needs is health care? Is there anything I should be doing now in preparation for the decision, any subsequent review etc. Stephen – the information on the Care To Be Different website relates to the Continuing Healthcare (CHC) system in England, and I can see that your father is in Wales. In England many families are finding that CHC funding is being removed incorrectly, and this may also be happening in Wales. The system in Wales is slightly different, but I’m wondering if that solo nurse can actually make the decision to remove the funding. You’ll need to check the Welsh National Framework. The broad strategies on this site about how to pick apart assessment notes may help you – but do check the system in Wales first. my mother in law had a Continuing Healthcare (CHC) initial checklist assessment. She was scored negative – we contested this and asked for a CHC assessment. They did this last week without us being present (myself and husband) they said they had tried to phone us! Again she failed this assessment. We contested this again and appealed for another CHC assessment thus being involved this time. To make matters worse two different assessors came out to the nursing home and my mother in law scored negative but her scoring was completely different from the first time of being assessed! How can this be in one week that her scores are different? Surely they should be the same. This has concerned us that the assessment has discrepancies and the more we delve into CHC it seems alarming that many families fail this assessment. We have looked into Department of Health guidelines and it is so open for misinterpretation. What should we do ?? My wife has advanced dementia and is currently in hospital after a fall where she broke her wrist about a month ago. With her discharge from hospital now being considered, she has recently had a DST assessment where she scored Severe for Cognition, High for Mobility and Moderate for Communications, Nutrition, Continence and Skin. These scores confirmed that she is eligible for consideration by the CCG for NHS Continuing Care and the hospital is about to submit the documentation to the CCG for their decision, but the hospital told me that the CCG are almost certainly going to decide that her need is Social rather than Medical since the care she needs can all be provided by suitable qualified Carers supplied by the Social Services. The hospital said that her care needs could only be classified as Medical if she had Dysphagia and needed to be fed via a tube, if she needed skilled continence care to be administered by a qualified nurse.. I cannot fault the procedures followed by the hospital in carrying out the assessments so, in view of what they have said, it apprears that I have little chance of getting NHS Continuing Care for my wife. My mum has Continuing Healthcare funding since June this year. She has been in this nursing home for 6 years but was self funding up to June when the MDT met and decided she qualified for Continuing Healthcare. The NHS payment doesn’t cover the home for the full amount that we were paying, so they have said that the extra money they want us to pay, goes to pay for the ‘hotel fees’ as I mentioned above. When I said that we couldn’t afford that (£215 per week) the home has given me a form to fill in stating my mums savings and other assets. Is that not illegal bearing in mind that the NHS continuing Healthcare funding is supposed to be at no cost to my mum or me? Hope I have made it clearer. Hi Maya – the home shouldn’t be charging you anything extra. Continuing Healthcare payments cover all assessed care needs PLUS all the costs of board and lodging, i.e. the ‘hotel fees’. The Continuing Healthcare contract is between the NHS and the care home, so if the NHS aren’t paying the care home enough, this is a matter for the home to resolve with the NHS – not by asking you for money. They should absolutely NOT be asking you about your or your mum’s finances! It’s none of their business. My mum has been awarded continuing healthcare funding after living in a care home for the past six years and self funding until now. I have received an invoice from the care home asking for £210 a week for what they call ‘hotel fees’. What action should I take? I was told by the MDT members that I wouldn’t have to pay anything so was a bit surprised by the amount I have been asked for. Thank you for your help. This website is amazing!!! I asked the care home manager what the ‘hotel fee’ covered- I was told it was because my mum gets a hot meal in the evening, and she has an en suite shower and toilet. (ALL the rooms have an ensuite toilet and shower) My mum has swallowing issues and has her food pureed- her ‘hot’ meal consisits of soup, pureed tuna, mashed egg and mashed potato!!! I also mentioned that £215 a week was more than my mum could afford- her pension is £150 a week. I have now been asked to fill in a form stating her income, savings, bank accounts and properties to ascertain if she can afford the ‘hotel costs’ . I am fuming!!!! The home is a non-profit nursing home, and I am sympathetic to their problem, (the NHS nowhere near covers the costs they incur) but surely they are acting totally illegally? Thank you for your kind words, Maya. I’m glad the website is helpful. It’s not clear from your comment whether your mum has Continuing Healthcare funding. You mentioned that your mum is paying, but you also mentioned NHS payments. Can you clarify? Santa – you mentioned the ‘borough’. Keep in mind that Continuing Healthcare (CHC) funding comes via the Clinical Commissioning Group (CCG) – the NHS – and not the local authority. It is the CCG that should be paying your company the CHC funding. Any dispute about who’s paying what should be sorted out between the local authority and the NHS, but CHC is paid by the CCG in the area where the CHC assessment process took place. Assuming the funding continues at the next routine CHC review, it may then pass to the CCG in the new area to fund (if it is a different CCG). My mum now has DST assessment next week on the 31/08/16. I’ve asked the district nurse who will perform the DST if any of mum’s doctors or specialist health team will be invited & she said not. Apparently she will use mums medical notes from the NHS to help her. I’ve asked the Altzeimers society for support as mum has dementia & other mental health conditions. So I will have a case worker from AS present. Can you think of anything else I can do with preparation etc that might be useful for the DST? Thanks. Hi, I am hoping someone could explain the difference between a primary health need and a social care need particularly where it relates to things like support with feeding, continence care, transfers requiring hoists and support with communication. There appears to be some dispute between the CCG and social services about funding an adult with learning disabilities, who has been awarded CHC, to attend college and the support they require while they are there. Any help/guidance would be greatly appreciated. That sounds so distressing Sharon – to say the very least. Yes, you can reapply for Continuing Healthcare are any time if you know your mum’s care needs have changed or increased. Hi my husband has a brain tumour and has been granted CHC funding to go in to a nursing home recently maybe on a temporary basis. He is not that happy there and keeps asking to come home.My question is if we decided to care for him at home instead will the CHC funding still apply? My uncle has recently had a review, (three months) where I was asked about his financial status. He has a house, and at the end it was indicated that the funding may be withdrawn. His health or situation has not really changed, and he is in and out of hospital. They have not given any reasons as yet. We are now running round getting power of attourney sorted out. I just find this totally unacceptable. I agree with you, John. The actions of the assessors constitute a serious breach of the Continuing Healthcare guidelines and could be considered financial abuse. Questions about your uncle’s finances have no place in the Continuing Healthcare process. Thanks. Yes, it is about safety and medical care if needed for diabetic hypo’s. I’m concerned as she has been taken out of the home a couple of times in the last eight months. She was supervised by carers trained to do blood sugar tests on both occasions and with contact with nursing staff by mobile phone if needed. I’m concerned that the CHC people might say she is somehow better now, although I know she isn’t. Mum does get taken out by family but some of them have nursing backgrounds and do sometimes have to manage hypo’s for her. Will – CHC is not dependent on the qualifications of the person providing the care, i.e. it does not have to be a nurse. However, in your mum’s case, it sounds as though the issue is really to do with her safety if she’s taken out without a nurse. Would that be the case? Hi, my ninety year old mum was hospitalised for having a psychotic episode which resulted in her taking an overdose of pain killers. During her stay in hospital they discovered she had vascular dementia. This aggregated with the fact that she is blind & prone to falls culminated with a CHC checklist being conducted. She triggered on behaviour, cognition & psychological. Since this date my mum has not received a DST assessment. Instead two weeks later the hospital staff conducted another checklist where miraculously she didn’t trigger. At the moment she is in an assessment home for two weeks. I have written a letter of complaint to the hospital, but seem to be getting nowhere. Social services are not being supportive either. I am at loss at what to do next. Any advice graciously accepted? Tina – sadly we often hear of situations like this, where an assessment has been repeated (for no good reason) and the outcome is disadvantageous to the person being assessed. Your mum should have been put forward for a multidisciplinary team (MDT) assessment and this should all have been completed (including the eventual funding decision) within 28 days. Insist that the first Checklist is upheld and that an MDT meeting is scheduled immediately. Quote the Care Act to Social Services and tell them they are now in a potentially illegal position. Use the search box/icon on this website to search for “Care Act”. We want to move our mum, but prospective care home want to know what the CCG are paying in the existing home. If they are not paying enough the new home will not take discussions further – the CCG is refusing to tell 2 LPAs of finance what they are paying – what do we do …. CHC payments are between the NHS and the care home. They shouldn’t be using you as a go between. If the prospective care home has/has hadCHC residents, the NHS cannot justify refusing to pay for full funding in that home. Can they refuse to tell us what they are paying – as that is what they are doing – the CCG and the CHC. Nicole – Continuing Healthcare covers all care needs, including social care needs. However, I would imagine that’s unlikely to cover things like hair cuts, days out, etc. Is the care home asking for additional money from your husband’s funds or from the NHS? That is unclear they keep asking about funding, they do not specify what the funding is for. I have however got confirmation from both them and the nhs funding. That the continuing care is being paid to them. They have mentioned benefits monies as possible funding. But though he qualifies for PIP he does not receive any actual monies, and he does not qualify for ESA as i get this with a couples supplement for him. He was my carer for the last 15 years so does not qualify for contribution based ESA independently. He has been in a hospital/care home setting now for over 18 months, but ESA will not pay him independently as we are not formally separated. If your husband is in receipt of CHC, Nicole, he should not be asked for any further payment towards his care needs – and nor should you. If the care home needs to be paid more for the care they are providing, this should come from the NHS only, not your husband. The CHC contract is between the care home and the NHS. If you receive any invoices from the care home for actual care, send them to the NHS. ” Mum has been assessed for CHC Funding and this was agreed. There is no change in mums funding needs at present, although have agreed to review again in a month or so once further assessment/ review has been done by Community Mental Health Care Support Team. which indicated that it was no longer (or poss never was) for 1-1 care at night. Mum moved in March & after just 2 days the new home’s doctor prescribed Lorazepam despite my advice based on previous experiences that it has an adverse effect of her, making her agitation & aggression worse (which is actually what is happening & they are struggling to cope with her). The same CHC assessor visited the new home after a few weeks & afterwards stated that, if the family continued to place obstacles in the way of Mum’s care then she would contact Social Services & have them take over responsibility for her. The home held an “informal best interests” meeting which 2 family members attended (I live abroad) and it was put to them that only one family member should be able to communicate with them who would then inform me of any decision re Mum’s care. Not wishing to place obstacles, my family members agreed & whilst I have tried to discuss this with the home, the manager refuses to contact me. The home have indicated that they will be seeking 1-1 funding from the CHC but have not said what will happen if that is denied – they have an additional per hour fee if Mum needs more 1-1 care than they normally provide. The home originally advised me that if the NHS is providing any funding then it should actually be the full funding but they seem to have back tracked on that following the CHC visit. Can the home stop me from being involved? Should we ask for another MDT? – a Checklist was completed by the home upon her admittance & it indicated that her scores have changed again & that she qualified for another full assessment. Should we let the home seek the 1-1 funding ? Should we seek full funding? Can Social Services take responsibility for her away from us as indicated? 2) When a person has a review of their CHC funding, it is usually the Decision Support Tool (DST) that is used straight away, not the Checklist. The multidisciplinary team (MDT) must compare the needs assessed previously with current needs, to see whether the person still has primarily health needs. It is not the Checklist scores that determine eligibility, but the DST. 4) The LA can only take over responsibility for a person’s care if the person is NOT eligible for CHC. It is illegal for an LA to take responsibility for care for someone with primarily health needs. However, you can contact the local authority (Head of Adult Care) if you feel that your mother is at risk and that there may be a safeguarding issue. 5) I can’t see why the home would have the power to stop you being involved. I would also avoid leaving it only to the home to pursue the funding; it helps to keep pushing for this yourself. Definitely push for the full funding. Interesting points made here, answers a lot of questions. What happens when the capital has gone,does the income come into play bearing in mind the spouse still needs to run the house! How is this apportioned? My Wife has a diagnosis of Amiloyd Angiopathy, we are now in year 13, and has been assessed for Continuing Care on four occasions at the request of her consultants, she has been refused on each occasion, the last being in October of last year. The assessor asked me why I wanted Continuing Care, which floored me a bit since I’m acting on medical advice. Can anyone suggest an answer to this question, her consultants are as puzzled as me? Thanks for your comment, Alan. What a ridiculous question for the assessor to ask. It’s not up to you to answer it; instead, it’s up to the NHS to do a proper, comprehensive and accurate assessment of your wife’s needs and risks. It may be worth asking your wife’s consultants to put something in writing that supports her case, so that this can be used as evidence. BUT! The consultants may not necessarily be aware of the specific Continuing Healthcare (CHC) eligibility criteria, so make this known to them when you ask them, otherwise they may inadvertently write something that is a) not particularly relevant for CHC and b) may as a result inadvertently damage your case. A request for retrospective healthcare funding has been refused. We are considering an appeal. The family contends that the records of the care home do not reflect the experience of the family. The assessors contend that comments from the family are merely anecdotal. We find this insulting since we have been close to our mother for the 10 years she has been in residential care. Clearly we should have sought an assessment some years ago. We have always supported the staff with no complaints. We find ourselves let-down. That’s a very common problem, Barrie, and I can certainly understand why you’d find the assessors’ comments insulting. You may want to raise the the problem of the care notes as a serious issue – raise it with the care home, the CHC team and also the local authority Head of Adult Care; if the actual care needs are not being properly recorded in the notes, this could be a potential safeguarding issue. I battled with the NHS for years to get CHC for my Mum,and i was eventually successful in May 2013,sadly Mum passed away 3 weeks after i won her case. I have been told that i am entitled to the money back that i had to pay towards her care for 6 years,and although i have 2 sisters they would not offer any financial support throughout the whole process,and one of them stated that she wasn’t interested in supporting any claims which included me having to drive thousands of miles over the years to attend Care Review meetings. When the money is evntually rewarded back to me,minus the “No Win,No Fee” to be paid to a solicitor,will i have to share any of the remaining money with my sisters? If you paid top up fees to the local authority for your mum’s care, then these should be refunded to you. If your mum paid the bulk of the care fees, then that element of the CHC refund would go to her estate – so whether or not your sisters receive anything could depend on what was in your mum’s will. But I don’t have the full picture here, and you may need to take a legal opinion on this anyway. Hi my mum is on end of life fully CHC funded under a fast track arrangement and is being cared for at home. We have 4 calls a day and we need overnight cover due to mums condition. Marie curie cover 3 nights per week and the carers cover 4. Marie curie are sometimes only available for 2 nights and chc have told us that when this happens that we can’t have 5 nights covered by the carers but mum can’t be left at night. I’m sure this must be wrong can you help? Yes, that does sound wrong, Lesley. CHC covers ALL assessed care needs, so if you mum needs care through the night every night, that must be covered by the NHS funding. Hello Angela, You and your website are so helpful- thank you. My Mum has full CHC funding due to a medical condition where she can become unconscious and needs treatment and supervision from a registered nurse. We are coming up to the first (3 mth) assessment. I notice that she has less episodes since being admitted to a nursing home. I’m pleased for her and also a little concerned that CHC funding could be removed post three months. I’m sure that there may be a discussion that her condition has improved. Even though her episodes have become less frequent the risk is still there and this can be evidenced by actual episodes in the home. Am I correct in thinking that I have a credible point of view ? Any help much appreciated. Thank you very much. I’ve been searching the internet, and come across your article. I wonder if you can help. Hi Laura – we have heard about this happening, however there is no cap on Continuing Healthcare. It must cover all assessed care needs regardless. Also, no one should ask a family to top up Continuing Healthcare payments. NHS funding is not means tested, not can it be topped up – because it shouldn’t need to be. Whatever the care needs are, the NHS must cover them. You may find this BBC Radio Cornwall broadcast of interest: http://www.bbc.co.uk/programmes/p0350hfx The link is valid until around 24/11/15. The bit about Continuing Healthcare starts at 1:06:00. My mother’s Continuing Healthcare assessment was done approx 2 years after her going into a care home. We were not at all happy with many respects of the result and appealed. Since then I have heard nothing back, it appears they have not started with the appeal, I have phoned and asked for an update and queried the lack of contact or action. I was told the case would be fast tracked. That was 6 months ago, a year since the appeal was lodged. How long can I be made to wait, what can I do please. That sounds very frustrating, John. Such delays are, sadly, not unusual – although of course quite unacceptable. Write to every relevant person – including the Head of Continuing Healthcare at the local Clinical Commissioning Group (CCG), the Chief Exec of the CCG, etc. You may also want to consider getting a solicitor involved – and letting the CCG know you are thinking of taking legal action. Whether or not you do actually take that action is of course something you can decide later on. It sounds a bit drastic, but such a letter could help focus some minds at the CCG in the first instance. Your website and publications are extremely useful, thank you. The whole process is a complete nightmare! I am about to attend a further assessment for my mother who has severe dementia and a range of complex mental and physical health needs. Cognition is clearly rated as severe and a psychiatric report for the DoLS assessment states on nine occasions her dependence on 24 hour care to prevent harm occurring due to the complexity of her physical and mental health needs. Previous assessors have argued that she is compliant with care. I have observed her being passively accepting and also accusing carers of harming her and holding her arms up in protection. When she has said no to medication, even paracetamol it is still placed in her mouth. Surely she cannot be deemed to be in concordance with medication and should be rated severe in drug therapies domain too? Any views gratefully received. Hi Tricia – thanks for your kind feedback on the website and our publications. I’m glad they’re helpful. You may find this article helpful: http://caretobedifferent.co.uk/antipsychotic-drugs-and-nhs-continuing-healthcare/ Even if your mother is not being given antipsychotic or antidepressant drugs, the links here may help you argue your point. We have LPA for a friend who has MS and dementia. She has 2 carers who are self-employed and want to remain so. Social Services have assessed her needs and will give her direct payments only if we employ the carers. We have the Continual Healthcare assessment checklist next week. Should our friend be awarded this, would we be allowed to use the funding to pay self-employed carers? My mother is in a Care Home with severe Alzheimer’s and is unable to do anything for herself, ie doubly incontinent, little mental capacity, needs to be fed, help with drinks and everything, totally immobile needing to be hoisted from bed to chair etc, and little if no conversation. Has skin problems which need frequent dressing etc etc. she was turned down CH funding 2 years ago despite taking it to appeal, saying her needs were social and not health needs. I am hoping her GP will do another checklist and if so how can I get them to see she is eligible for CH funding? Gill – you can ask the care home to initiate another Checklist if the GP won’t. Alternatively you can contact the local Continuing Healthcare team directly. Then it’s a case of arguing hard and showing how your mother’s needs match the various eligibility criteria. I am an Approved Mental Health Professional (AMHP) and a manager is Social Services. My mother in law is not CHC funded after a ‘battle’. Even though I am a ‘professional’ my wife I found the whole process tortuous and so stressful However, the information provided here and on a couple of other sites was brilliant. We won. I am leaving Social Services to become an Independent Social Worker. I cannot work any more in a system that seems to fail the vulnerable and frail in our Society. Submitted on 2015/01/26 at 9:27 pm | In reply to ian mckay. Thanks very much for your kind words, Ian. I’m glad you’ve found the website helpful – and I’m glad you won your case. Your feelings about and your experience of the whole CHC process are echoed by many, many families across the country. It’s a terrible state of affairs. Wishing you well in your new role outside the system. Have finally heard re my claim for my late Mothers fees. They have only been able to get hold of GP records. Care home and Community Mental Health Team records have been destroyed. They say from GP records it would be likely my mother would have a positive Checklist, but there is not enough evidence to complete full assessment. I have no real hard evidence. Is there anything I can do? You could argue it from the opposite perspective and make the point that there is no evidence to suggest your mother wouldn’t have qualified. If the health and care professionals have lost or destroyed records, not only is that not your fault but the powers that be also cannot provide evidence to show that she wasn’t eligible. Just a thought. My dad could be getting continuous care; he has vascular dementia. He has been in care now for 2 years. He has recently be re-assesed and it is going to panel. My sister thinks that we will still have to pay for all his care at the end. My dad has no savings, but does own a small terraced house. Is this the case? Hi Nicola – do you mean would he still have to pay because he has a house? A person’s money/assets are completely irrelevant in a Continuing Healthcare assessment. The decision about whether or not your dad pays for care is not based on his money/house – it’s based on his care needs only. If his care needs meet the Continuing Healthcare funding criteria, he could be a multi-millionaire and he still wouldn’t have to pay. The NHS would pay. My Mum currently receives CHC funding and is about to have an assessment for her continuing eligibility/needs etc. On what grounds can CHC funding be withdrawn as I suspect that this might be the agenda. How can I be best prepared for this assessment. I assume that it will be following through the DST as in initial assessment? You say about CHC that it covers 100% of care fees for people who need full-time care primarily for health reasons, i.e. they have a Primary Health Need. 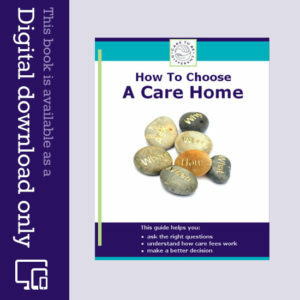 It’s available whether you’re in a care home, in your own home, in a hospice or somewhere else. My mother will probably be awarded CHC in the next 2-3 weeks (we have gone through the first stage). The home tells me that I will still have to pay £315 a week (in effect a top-up) – is that because the home is expensive? (£1050 / week)? CHC cannot be topped up and it must cover all assessed care needs, so the care home is wrong to tell you it has to be topped up. If the care home feels the CHC payments from the NHS are not enough, the dispute is between the care home and the NHS, and the care home should to be coming after you for more money. We have been asked to a DST meeting for my mother who lacks mental capacity. She has been in hospital for 6 months, 8 wks in the psychiatric ward, she has moderate frontal lobe dementia, and bipolar she has behavioural problems, and she is on antipsychotics and mood stabilizers as she is having extreme mood swings. They said she needs EMI nursing care home, she is very depressed then manic. Would this qualify her for NHS CHC? We had a CHC assessment in May 2014 (my mother passed away in December 2014) I have been appealing against the assessment for last 12 months and eventually had a meeting last week with a line manager from the CHC team. I had disagreed with the decision that my Mum was not eligible for CHC funding, the CHC team were unprofessional and verbally aggressive which I complained about. The line manager said there had been action taken with the staff to improve their service delivery and she had a meeting with the nurse at my Mum’s home to review the scoring of the support tool. The scoring didn’t change really from the original meeting, what I was confused about was the scoring of 2) Cognition – Severe and 3) Psychological and Emotional Needs – Low. We were told that as Mum scored Severe in Cognition she couldn’t be doubled scored in Psychological & Emotional needs as these were due to her cognition and would not be taken into account is that correct. Also it was my experience with the social worker who attended that she felt the LEA was just too small to try and fight the NHS so we didn’t get any support from that area. We submitted a full application for a continuing healthcare assessment retrospectively from 2004 to 2011 for our aunt. in Jan 2013. The CCG did nothing to carry out a live assessment for 12 months before she died in Dec 2013. Once notified of her death they then delayed obtaining full medical records until Oct 2014 and have only recently obtained the full records !!! They have said they will get a Needs Portrayal Document to us but surely they need to submit a Decisions Support Tool – what is the difference between the two? The Needs Portrayal Document is a form that nurse reviewers often use to record notes and evidence in a retrospective review. However, in my experience and in the experience of many families, these notes are often simply copied and pasted from other documents, such as the daily care notes from the care provider. Also, I have seen huge gaps in the evidence recorded on Needs Portrayal forms – sometimes several years’ worth of evidence is missing – and ‘copy and paste’ efforts that show no analysis of, or research into, an individual’s specific care needs. You’re correct that the Decision Support Tool is vital in pulling together evidence from all relevant sources by care domain and showing how the person being assessed scores in each care domain. If you are sent a Needs Portrayal Document, check it very, very carefully – and ask to see a completed Decision Support Tool too.